Sail ports across the South Pacific in style and comfort when you join us aboard Royal Caribbean’s Explorer of the Seas®. 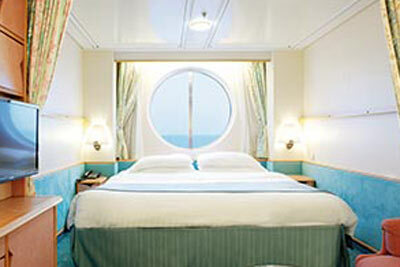 Enjoy various onboard activities and amenities during your days at sea. Play a round of mini-golf, climb the rock wall, or surf the waves with Royal Caribbean’s FlowRider® attraction. When hunger strikes, dine on amazing sushi platers or traditional pasta favorites. The choices are limitless! Do as the locals do when you hit up the Lautoka Market for fresh fruits and vegetables, spices, and sweets. Enjoy the peaceful setting inside the Botanical Gardens amongst lush local greenery, beautiful orchids, and bustling butterflies. Finish you visit with a trip to the spa for a heavenly massage from an expert massage therapist. The Fiji Museum is a great resource for Fijian history from colonialism to modern times with exhibits featuring boats, clothing, tools and other artifacts from the past. Hike the meandering trails of Colo-I-Suva Forest Park where you can grab a rope swing into the natural pool at the lower falls. If you’ve worked up an appetite, the colorful displays of Suva Municipal Market will entice you with local produce including cassava, coconut, kava, pineapple, and watermelon. Lifou is a pristine paradise, rife with corals, marine life, and crystal clear waters. Walk through the village market for souvenirs and authentic island cuisine. Tour a vanilla plantation, or walk up the hill to the local church for spectacular views of the beach below. Noumea, on the island of Grand Terre, is the capital of the French territory of New Caledonia. The peaceful port city has a diverse population and colorful European architecture, reflecting its colonial history. Having served as the headquarters of the US Army during WWII, the tropical shrubbery of Ouen Toro Mount is now under the protection of abandoned Naval guns. The Michel Corbasson Zoological and Forest Park offers visitors shaded walks amongst rare birds and views out over the lagoon. Wind down from your whirlwind Fijian island excursions with a spa day aboard ship. Relax with a swim in the pool or a glass of wine paired with the perfect gourmet meal. Disembark or stay over to enjoy this coastal city down under! Whether you are seeking adventure or leisure, Explorer of the Seas® is home to an array of spectacular innovations that will cater to whatever type of vacation you desire. Enjoy the thrill of rock climbing our signature wall overlooking the sea or spend the afternoon ice skating. Relax in the soothing VitalitySM Spa or liven things up at the exciting Royal Promenade. Grab a bite to eat at the complimentary Windjammer Café or make reservations at Giovanni’s Table for one low cover charge. 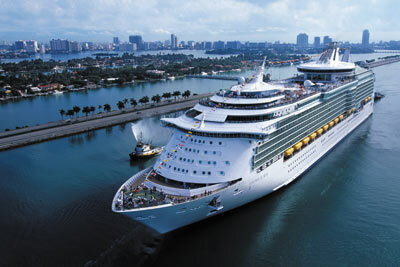 There is no limit to what you can do onboard Explorer of the Seas! 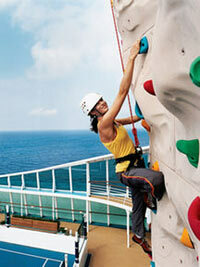 Rock Climbing: Rise to the occasion and take on a signature rock climbing wall. From beginners to speed climbers, everyone can enjoy an unparalleled view from 40 feet above deck. Ice Skating: Put your vacation on ice with a spin on the ice rink, an onboard feature exclusive to Royal Caribbean. Skates provided. Mini Golf: Hit the links on the high seas! Refine your mini-golf game on a green that overlooks a sea of blue. Sports Court and Tournaments: Whether it’s a game of one-on-one or an all-out tournament to fuel your competitive fire, the sports court is just the spot for basketball and volleyball action. FlowRider®: Only Royal Caribbean gives you the chance to catch a wave right onboard. Grab a board and hang ten on this 40-foot-long surf simulator, or cheer on friends from stadium seating with prime wipeout views. Pool Deck: Soak up the sun or savor the shade on expanded pool decks, featuring complimentary loungers, live music, and the opportunity for a frosty cocktail. 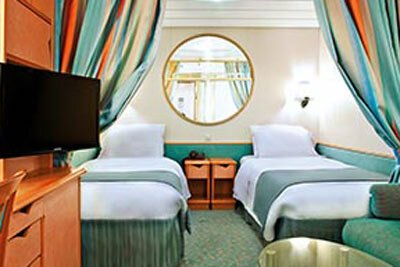 Every ship boasts multiple whirlpools for you to take a relaxing dip in. Vitality at Sea Spa: A luxurious sanctuary boasting signature treatments, medi-spa services and a full-service salon to make you glow from the inside out. Reserve your preferred treatments ahead of time and relax. Massages: Elemis treatments varying in technique and length offering muscle tension relief and the opportunity for ultimate relaxation. Adults-Only Solarium: Retreat to the glass-canopied, adults-only Solarium, where inspired surroundings and whirlpools promise the ultimate in relaxation. 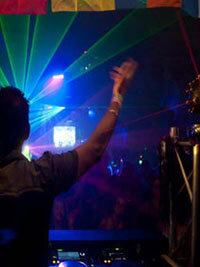 Club Twenty: A South Beach style nightclub event in a venue transformed with billowing sheers from floor to ceiling, go go dancers, living statues and an amazing club DJ. Viking Crown Lounge®: Perched high above the sea on every ship, the Viking Crown Lounge® is our fleet’s signature architectural wonder, with panoramic sea views and live entertainers nightly. R Bar: A sophisticated new bar with a distinct retro glamour vibe, the R Bar serves up all the classics—martinis, gin, whiskeys and more—plus specialty drinks crafted by the resident mixologist. Izumi: The traditional Asian dishes at Izumi will impress you with pure, delicate flavors, freshness of ingredients and impeccable presentation. 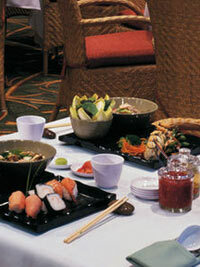 Choose from sushi rolls, sashimi, hot rock (ishi-yaki) plates, and more. Café Promenade: Pick a table with a view at Café Promenade, serving Seattle’s Best Coffee®, snacks, pastries and sandwiches throughout the day and into the night—so you can enjoy the action when you please. Main Dining Room: Sweeping, multi-level ambience, world-class cuisine and extraordinary personal service from a dedicated wait staff. Chops Grille: Royal Caribbean’s popular signature steakhouse, featuring grade-A premium cuts of steak cooked to your specifications—plus fresh seafood, hearty side dishes and signature desserts in an upscale, contemporary setting. Giovanni’s Table: A casual Italian trattoria with indoor and al fresco seating, Giovanni’s Table offers rustic dishes with a contemporary flair, including toasted herb foccacia, pastas, braised meat dishes and stews, all served family-style. You’ll never miss a moment of the breathtaking scenery just outside your window. Experience the perfect balance of value and ocean views. 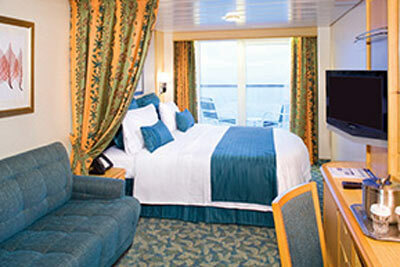 Relax in all the comfort of a cozy interior stateroom. These nicely appointed rooms are an excellent value with plenty of amenities. Certified Registered Nurse Anesthetists: This program has been prior approved by the AANA for 20 Class A CEC; AANA Code #1034984; Expiration Date 4/7/2018. $100 between January 27, 2018 and February 26, 2018. No refund after February 26, 2018; however, 50% of tuition paid may be applied toward tuition for another NWAS program within the next 12 months. Cancellation must be in writing.